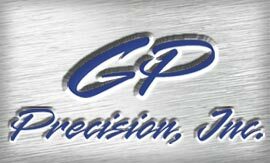 GP Precision is an entrepreneurial quick turn stainless steel manufacturer dedicated to providing our customers with superior service. We manufacture the customer's product using time proven methods, state-of-the-art technology and an ongoing program for continuous improvement. We conduct business with integrity and honesty, recognizing our primary responsibility is to our customers. Our vision is continuous growth through customer satisfaction, time saving-technology and employee motivation. In addition to quick turn stainless steel manufacturing, we offer a full range of manufacturing services, aimed at producing custom-made products for your unique application. Our fully integrated computer system tracks quotations, orders, quality requirements, expediting and delivery. With leading edge technology, we utilize CAD/CAM design engineering and CNC production equipment to fulfill your specific needs. For more information contact GP Precision Inc.